California Good. 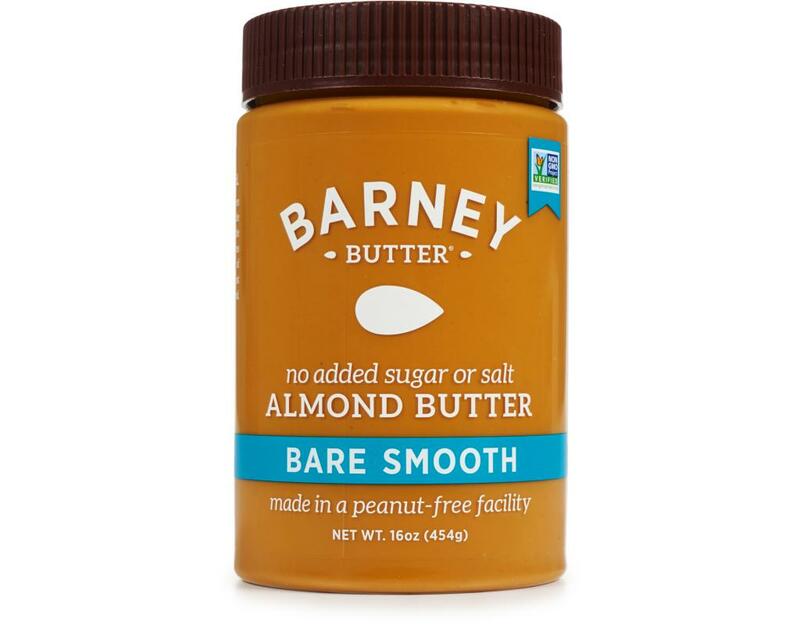 Barney Butter is born to be better. The sunkissed almonds are perfectly blanched for an exceptionally smooth, rich flavor. Spread a little goodness around! Pure, Smooth & Spreadable. No added salt or sugar. 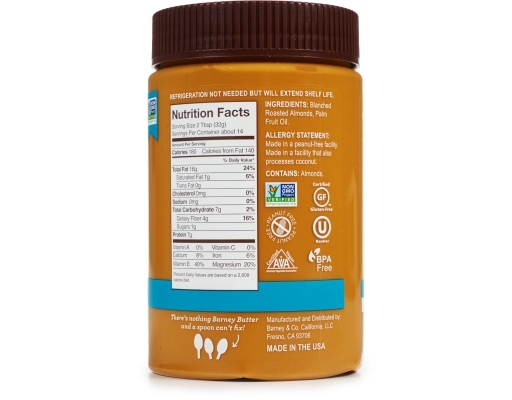 Even better for baking, or smoothies. OK, let’s say you love the texture and quality of Barney Butter, but you quit sugar or your doctor banned sodium from your diet. The “Bares” are for you. Enjoy the same Barney texture and quality without the added sugar or salt. 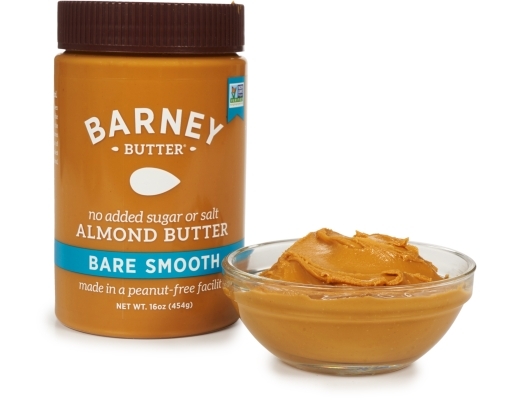 The “Bares” are also a great addition to other foods that may already have sugar or salt (smoothies, cookies, ice cream, oatmeal, sauces, etc.). 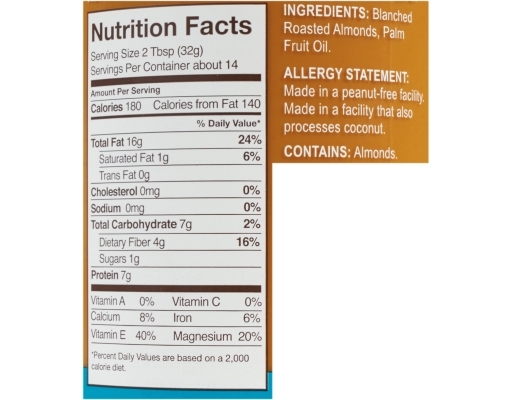 Barney uses the BEST grades of California almonds only and also blanches those almonds, removing most of the phytic acid found in almonds – better tasting and better for you. Allergy Statement: Made in a peanut-free facility. Made in a facility that also processes coconut.